Thinking Ink Press brings you a touch of magical realism just in time for Halloween. 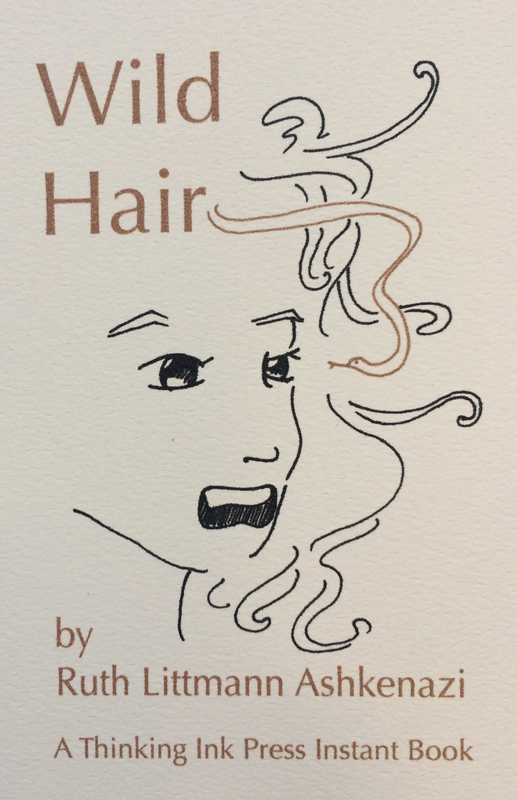 We are happy to announce a new Instant Book, Wild Hair, by the always-entertaining Ruth Littmann Ashkenazi. Instant books are limited edition miniature books with complete stories inside. Folded from a single sheet of paper, they fit in the palm of your hand, but they’re sturdy enough to read and share. Ruth will be reading a new short story at Flash Fiction Forum on October 14 and Wild Hair will be available for sale at this event. The story in Wild Hair was featured at a previous Flash Fiction Forum event. Keiko O’Leary, our Instant Book designer, created this book layout. She selected the typography and paper, created the art, and hand-folded each book.